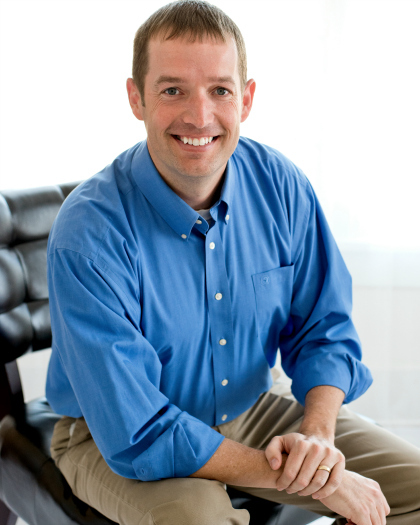 Phillip Yancey tells the story of speaking at a nursing home. When he arrived, the head of nursing home gave him a rundown of the patients who would be in the audience. Most were well-mannered, caring people. A few would be physically present, but mentally absent. Many would sleep. Some might speak at inappropriate times. But the caretaker warned Yancey about one particular patient. Back and forth the two went, quoting the Apostle’s Creed. What the staff had assumed was cursing, was actually this man’s act of worship. He wasn’t using the Lord’s name in vain, he was praising God’s name through liturgy. When Silas was little, Jenny had a similar incident in which she confused a praise for a curse. After the morning worship service, she ran by the grocery store on her way home to cook lunch. That morning in Sunday School, the children had practiced several songs which they were to sing in worship the next Sunday. As they were standing in the crowded checkout line, 3-year-old Silas suddenly blurted out, “JESUS CHRIST” in a rather loud and seemingly irritated tone. Everyone turned and looked. Jenny was mortified and quickly hushed him. It’s always shocking to hear someone take the Lord’s name in vain in the checkout line, but especially when that person is the toddler son of a pastor immediately following morning worship. Jenny began to reprimand him when Silas continued, “is born/Go tell it on the mountain, over the hills and everywhere.” Everyone erupted in laughter. Silas wasn’t violating the third commandment, he simply was pausing at an awkward time in the old Christmas carol. What everyone feared was a curse, was actually a praise. It seems there is a fine line between cursing and praising, between belief and unbelief. We often like to think the two are world’s apart, but they are closer together than we would like to admit. The faithful believer is also full of doubts. The loud skeptic quietly questions his own skepticism. Cursing and praising are not as far apart as we think. In my own life, there is only one thing which determines whether I curse or praise. One would think it’s the circumstances, but it’s never the circumstances. Years of walking with different people through a myriad of situations in life has taught me our circumstances rarely determine our attitude. I’ve seen people in unbelievable misery praise God and I’ve seen people in unmistakable ease curse Him. 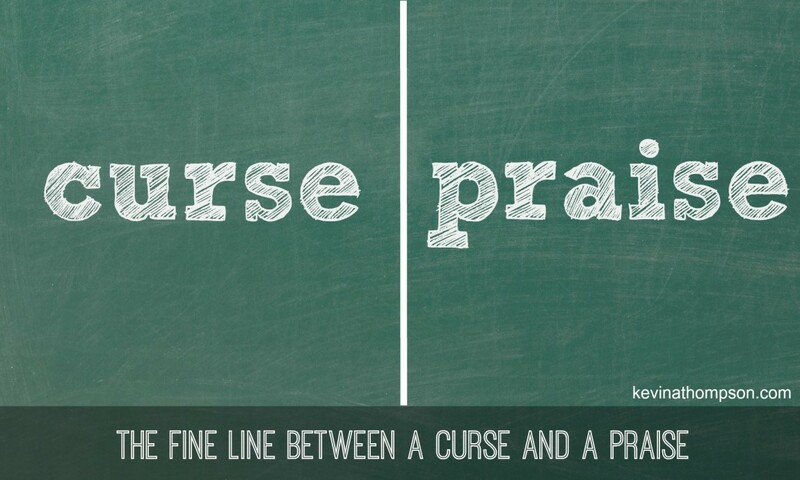 The line between cursing and praising is not drawn by circumstances. The difference is solely dependent on one thing—do I believe God is with me? If He isn’t with me, then everything is a curse. Success and failure, comfort or conflict would all be sources of cursing. The sorrows of life would have no hope; the sufferings of this world would have no end. Even success would be a curse if God were not with me because no matter what I do, all of it will be stripped away at death. Without God, we are without hope. If He is with me, then everything is a praise. Life and death are both gifts. Success is a blessing, but even failure can be used for good. Sorrow is painful but there is a promise He can use it for my good and there is an equal promise that one day every tear will be wiped away. The thin line between cursing and praise is determined by whether or not God is with me. The Christmas story—the birth of Christ—answers that question. God is with us. He is here. We have not been left alone on this planet. We are not left to fend for ourselves. He is here. Wherever I go, whatever happens, God’s presence is with me. In the moment of my greatest sorrow and in the moment of my greatest victory; whether lost in the consequences of my own actions or suffering from the decisions of others; whether in the midst of a loving community or ostracized in isolation, the message of Christmas is that God is with us. circumstances, I can endure because he is with me. situation, I can worship because he is with me. question or confusion, I can handle the mystery because he is with me. He is here…with us…and because he is with us, there is but one reasonable response for humanity. That response is worship. Thank you Kevin for reminding me that Emmanuel, God With Us, is true. I am especially tired today, so because of what you write, I will look out the window at the snow and cold and instead I will watch some sparrows playing, hopping about on top of the snow. I will look at the trees, seeing the beauty of their honesty, stripped of the adornment of their leaves, their true form showing, knurls and knots, broken and cracked limbs, what the oak tree really looks like behind its leaves. I will see the world, sleeping, dormant beneath the pristine blanket of snow. A world at peace, nestled in the arms of a loving God. Even tired, my lips will praise my Lord Jesus who loves me in a way I will never understand this side of heaven. Because of that Love I now possess the hope of life eternal with Him in paradise. Thank you Kevin, that I no longer have to curse what is hurtful and hopeless, but now I can look beyond that pain to the promised presence of God with me. Bless you my new friend for words that arrive just in time assembled in just the right way to fit deep within my heart.